Yes, everyone knows about this and hopefully everyone is doing it daily. However, not everyone uses the correct technique or brushes for the right amount of time. The American Dental Association recommends brushing for a full 2 minutes, something many people are not doing. An electric or power toothbrush is a great idea but if you get one, make sure it has a timer on it so you know how long you are brushing. An electric brush does most of the work and you just need to move the brush head from tooth to tooth for the recommended amount of time. With a manual brush, you should angle the brush at a 45 degree angle towards the gum and use a back and forth or up and down motion. Do this on the inner and outer surfaces of the tooth and then brush the chewing surface as well. Brush at least twice a day and divide the mouth into 4 quadrants (upper right, lower right, lower left, upper left) and each quadrant should be brushed for at least 30 seconds, to give 2 minutes in total. Toothbrushes (or brush heads for electric brushes) should be changed every 3-4 months or when the bristles become splayed. 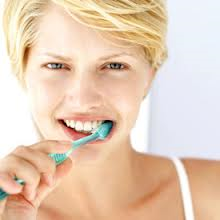 A soft toothbrush is recommended as a harder brush may damage the root surface if there is any recession. one surface of each tooth and try to make the letter C as you slide the floss up and down. 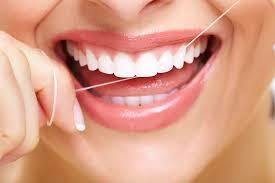 Floss aids and floss picks are fine for those who prefer to use them or for those with arthritis or dexterity issues. Don’t forget to floss behind the last tooth in each arch. For those who grind their teeth, some type of nightguard is necessary to protect the teeth and reduce pain in the joint if there is any. Bruxism, or grinding of the teeth, is a very destructive oral habit. It can lead to very extensive, and very expensive, dental work because usually all of the teeth are worn down and it is not possible to restore them just one at a time, leading to possible crowns on all or most of the teeth. 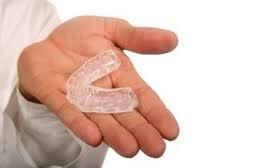 An over the counter nightguard can be tried if there is no pain in the joint, but they are less comfortable. If that doesn’t work or it leads to other problems, a custom nightguard should be made by your dentist. A soft custom nightguard may cost $150-$300 and a hard laboratory nightguard between $400-$800. Whatever the cost is, it is far less than would be needed to restore the teeth when they are worn down by bruxism. Dry mouth is very destructive and should be alleviated if possible, both for comfort and to prevent dental decay. There are hundreds of medications that can cause dry mouth and it is very uncomfortable for many patients. You can first try talking to your physician to see if there is an alternative medication that doesn’t cause dry mouth. If that is not possible, then there are things that can be done to improve your oral health. Special rinses and gels made by Biotene and others can be found at the pharmacy and alleviate symptoms of dry mouth. The reason dry mouth can be so destructive is that saliva acts as a lubricant to rinse plaque off of teeth. When there is less saliva, the plaque adheres to the teeth and this leads to more decay. Some simple measures that can be done are to keep your mouth moist by always having a water bottle with you and sucking on sugarless candies or chewing sugarless gum. However, it is not good to chew gum for long periods if you have problems with the jaw joint. If you have gum recession or a lot of crowns, ask your dentist for a prescription for a high fluoride toothpaste or other supplemental fluoride products that can help prevent the decay that is more likely to occur. I recommend a soft toothbrush for my patients. Enamel is quite hard but if the root is exposed due to recession, the tooth structure that is exposed is dentin, not enamel. Dentin is softer than enamel, more prone to decay and sensitivity, and can be more easily abraded with a hard toothbrush. For that reason, I recommend a soft toothbrush. It seems just about everyone wants whiter teeth. Teeth can be stained form coffee, tea, tobacco, etc., or internally from medications or too much fluoride when the teeth are forming in the bone. The least expensive way to bleach is with white strips which can be bought over the counter at the pharmacy or at Costco. These are often effective but have certain limitations. If the teeth are not straight, it will be harder to fit the white strips over the teeth properly, which may lead to uneven bleaching. Dental providers may have some more powerful white strips that are available only through dental offices. They will be more expensive than store bought strips but less expensive than other methods of bleaching. The next step up is to try custom tray bleaching that is available from dental offices. This will usually work better than white strips because the trays will adapt to the teeth very well and patients will use them for about 3 weeks and then do touch up treatment as needed. For those who want instant results, there is in-office whitening, with results in 1-2 hours in the dental office. The instant whitening will give the same results as the tray bleaching but in 1-2 hours instead of 3 weeks. Many patients are now opting for the in-office instant whitening in combination with the trays for the best possible results. With any whitening treatment, the bleaching should be stopped if sensitivity develops. Also, patients need to know that no bleaching system will work on fillings or crowns and that they many need to be replaced if the shade is now different from the teeth. I hesitated to put this in because this is about keeping your dental bills low and braces are not inexpensive. However, if you have crooked teeth, you will lower your dental bills significantly over your lifetime by straightening them, even with the expense of braces. That is because braces are more than about just improving your smile, although that is a significant reason to get them. People with crooked teeth often get more decay and gum disease, leading to possible fillings, crowns, root canals, deep cleanings and even periodontal surgery and extractions. Why is this? Straight teeth are simply easier to clean as they attract less plaque and tartar, which results in fewer dental problems. If you are wary of a long commitment to braces, often traditional or invisible braces can be done over a shorter term (6-9 months). This may not result in a perfect bite but will straighten the teeth, leading to easier and better oral hygiene. While not appropriate for every situation, invisible braces have a few advantages over traditional braces in that they can be removed for oral hygiene and for meals.